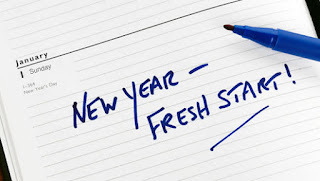 Some quiet thoughts : Reflections: New Year's Resolution - Grace or law? New Year's Resolution - Grace or law? A couple of months ago I heard a preacher say something that deeply challenged and convicted me . It got me thinking , pondering and reflecting on my own life. He said that in today's world it has become a norm not to commit . People fear commitment that’s why they prefer things to hang loose. This is reflected in everyday life, relationships etc. Many people no longer marry in the West but just move in with a “lets see if this works, lets give it a shot” attitude leaving a back door to walk out wide open. Gone are the days when people carried a diary or a file o fax where dates and commitments were inked in and the intent to meet or do something was sealed.Today when friends want to meet up its more like “I call you, lets see how it goes and if ‘m free”, leaving the option to opt out. We see this even in spiritual matters. Many approach coming for the church meeting as an option saying “If I’m not doing anything else I’ll go to the meeting” Even God is treated with an open backed door! Nothing of any significance has ever been achieved or built without sacrifice, cost, commitment and doggedness. Ask any sports person, scientist, businessman ; anyone who has achieved something of significance in their field, in their lifetime and they will tell you that it took hours and years of sacrifice and focus; study and practice to get to their goal. It often took saying “no” to many things, narrowing the options, closing the back door tight, putting the blinkers on and setting ones face like a flint ;pressing on toward the goal marked out. This is what men and woman of substance and character have looked like through the ages. Most people who know me would question why I am reflecting on this as I am known to be quite disciplined. That’s mostly true but over the years I have lets things hang loose and have let things slide- that's why the conviction. One of the things I stopped doing was, writing a New Year’s Resolution. Therefore I achieved very little – and have not done the things I ought to have done in last few years. I have been the looser! Am I going to beat myself on the head for this? No. I realize my loss, my folly and I repent. I know I belong to a gracious God who wants the best for me and helps me in my weakness. His grace is there for me to overcome and His grace is made perfect in my weakness. This year I have decided to restart writing a list of things I want to see happen in 2013. Lets call it a Faith List. Before you throw the Grace Card at me let me say this – Grace is not a license to hang loose, to sin or to live an undisciplined life. Grace helps me to overcome. Grace helps me in my weakness to make me strong. Grace helps me to say “no” to sin and unrighteousness. We have many examples in scripture of people who were focused and committed therefore they accomplished all that God had wanted of them in their life time. Some such heroes are Noah, Nehemiah, King Solomon, Paul and Jesus Himself. Proverbs 29:18 says “Where there is no revelation, the people cast off restraint;”(NIV) Other translations say “dwell carelessly or perish” This is good enough reason for me to plan, prepare and stay focused. S – write down something SPECIFIC. R- REPEATABLE – It can be repeated to someone who asks you what your goal is. Eg) I am going run half a mile everyday day. T- TIME BOUND At the end of the year you can see whether you have accomplished this or not. Write down specific goals for specific areas of your life viz PERSONAL: marriage, kids, home care. Your WORK/career. Your SPIRITUAL Life ( personal, in relation to your Church etc). Soak these in prayer, work at them diligently, review them from time to time, share them with a friend who can ask you how you are doing and encourage you in keeping focus. I am sure you and I will slip sometime during this year- but don't let that stop you. Pick yourself up and move on. Lets see how much we accomplish at the end of year 2013. I believe this is a year of great favor and whatever we put our hands to God will bless. Lets go get those goals down in black and white for starters! Have a great year.